It's always exciting to start a new production. 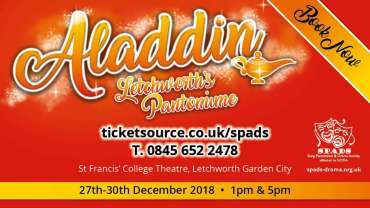 This years' Pantomime 'Aladdin' has now been cast, the scripts written and rehearsals will start in September. Latest Update: You can now purchase and collect tickets direct from Letchworth Garden City Tourist Information Centre.